Estonian music sprang up on the crossroads of Eastern and Western culture, where animistic belief met Christianity. Ancient Estonian runo song took shape in the third millennium BCE. Thousand years ago Gregorian chant reached Estonia through Catholic monks. Heathen spell casting and Christian prayer rhythms are also heard in today’s Estonian music. 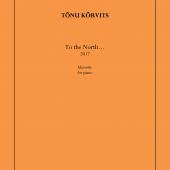 Choral songs by Veljo Tormis (1930), whose idiom is rooted in the folklore of Estonians and other Finnic peoples, are sung all over the world. Inspired by ancient sacred music traditions and the search for answers to the eternal questions, the music of Arvo Pärt (1935) speaks to all human beings. The music of Erkki-Sven Tüür (1959) derives spiritual energy from various stylistic sources, and builds monumental sound cathedrals. Among many other performers, the renowned Estonian conductors Neeme Järvi (1937) and Eri Klas (1939) are welcomed on the world’s concert stages. Music in today’s Republic of Estonia is diverse. It is a dialogue between performers and composers, musical collectives and institutions, including the Estonian National Symphony Orchestra and the Estonian National Opera, the Estonian Philharmonic Chamber Choir and the NYYD Ensemble, the Estonian Academy of Music and Theatre and higher music schools in Tallinn and Tartu. 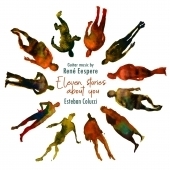 Estonian composers and performers have collaborated with musicians from many countries all over the world. But the foundation of Estonian music is the Estonian people – a singing nation with a deep love for music. Estonian professional music culture was born at the turn of the century. Most of the performers and composers were educated at Russia’s St. Petersburg Conservatory. Around this time, pioneering works in various genres were composed: Rudolf Tobias (1873-1918) wrote the first overture (“Julius Caesar”, 1896), concerto (Piano Concerto, 1897), string quartet (1899) and oratorio (Jonah’s Mission, 1908). The first Estonian symphony (1908) was written by Artur Lemba (1885-1963). The first stage works were also composed in this period. Estonian music life and institutions gained momentum after the Republic of Estonia gained independence in 1918. Classic Estonian composers such as Rudolf Tobias, Artur Lemba and Artur Kapp (1878-1952) fused melodies and harmonies from Russian and Western classics. 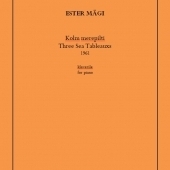 The outstanding choral composer Mart Saar (1882-1963) and the orchestral innovator Heino Eller (1887-1970) introduced new qualities to Estonian music, searching for a distinct national mood of expression based on folk song or intonations, and incorporating impressionistic and expressionistic influences. 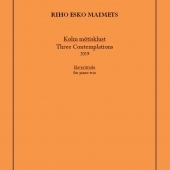 The Estonian national musical idiom reached maturity in the work of Eduard Tubin (1905-1982), a greatest Estonian symphonist, the author of ten symphonies, two operas and the first Estonian ballet (Kratt, 1940). In the 1960s, neoclassicism became a dominating trend in Estonian music. Characterized by powerful rhythmic energy, it centred on the concerto as its main genre. Jaan Rääts (1932) became the leader of the movement later developed by Raimo Kangro (1949-2001) and many other composers. For decades, a subtle and psychologically nuanced but dramaturgically charged style has been cultivated by Eino Tamberg (1930), the author of a number of orchestral and stage works. Lepo Sumera (1950-2000), the composer of six symphonies and numerous experimental chamber works, created pivotal syntheses connecting dramaturgical and minimalist conceptions of music. For nearly half a century, Veljo Tormis has combined Finno-Ugrian and other nations’ folk songs with modernist techniques in his choral works. In the 1980s, having exhausted the possibilities of modernism, Arvo Pärt came up with his original tintinnabuli style – an influential stylistic prototype for Estonian music up today. In the 1990s, a strenuous search for stylistic synthesis began. 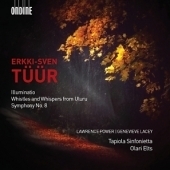 One of the strongest currents of contemporary Estonian music is a neo-expressionistic style that combines archaic melodic material with subtle texture and suggestive sound, diversely represented by Erkki-Sven Tüür, Helena Tulve (1972), Toivo Tulev (1958), Tõnu Kõrvits (1969), Galina Grigorjeva (1962), Mari Vihmand (1967), Tõnis Kaumann (1971), Jüri Reinvere (1971) and Märt-Matis Lill (1975). The more playful idiom and variety of stylistic sources is characteristic to Timo Steiner (1976), Ülo Krigul (1978) and Mirjam Tally (1976). Choral song and the choral tradition have historically always been the most significant and colourful domain in Estonian music. 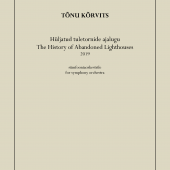 In 1869, the first Estonian Song Festival was held in Tartu. The year 2009 will mark the 25th such festival. In 2003, the Estonian Song Festival was enshrined on the UNESCO world heritage list. The choral movement was one of the catalysts of the foundation of the Republic of Estonia in 1918. Seventy years later, the “Singing Revolution” – politically-charged concerts and rallies – played an important role in the restoration of Estonia’s independence, lost in World War II. 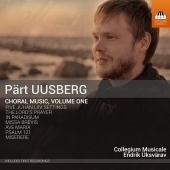 Besides Mart Saar, Veljo Tormis and Arvo Pärt, the wonderful choral composers Cyrillus Kreek (1889-1962), Ester Mägi (1922), Anti Marguste (1931), René Eespere (1953) and Urmas Sisask (1960) and many others have enriched the palette of Estonian choral music. Estonian choral songs are sung and loved in many other countries from Europe and America to Japan and Australia.